On all projects and before each shift the superintendent shall require that all employees participate in a short stretch and flex. Leadership by example is important, so all personnel on site, manager, coordinators, PEs and managers will participate in the stretch and flex IN FULL PPE. Please do expect your personnel to do something that you are not willing to do and also remember that it is important to let your crews know, through your actions, that Stretch and Flex is important. The stretch and flex is not a safety meeting. Have it lead by someone who is dynamic and humorous. I have seen the effect of positive exciting stretch and flex on the rest of the day. It is amazing. The crews will receive a Job Hazard Analysis briefing every day at the start of the shift. This briefing will follow the morning stretch and flex and will be done by each crew foreman or lead person. IT IS IMPORTANT TO UNDERSTAND THAT THIS IS NOT AN ENTIRE CREW or < ALL HANDS MEETING> It is a meeting for each individual team or crew on a site. There should typically be several of these meetings happening at the same time , in small groups, right after the stretch and flex. If you are the only person assigned to a project, then you must write and review a JHA and fill out a pretask card for yourself. As a manager or supervisor, the ability to quickly follow and determine if something is happening is critical. If you have the crew and teams break into small groups in the area where they did stretch and flex to do this daily briefing, there is an immediate and visual check that it is happening every morning. The purpose of this meeting is for the foreman to review the day's tasks with his crew specifically and to read the installation plan and the JHA to them. This is to be done even if the team is doing the exact same thing they did the day before. The process of stretch and flex should be about 5-7 minutes and then the JHA brief and writing pretask cards should be about 8 minutes so that the crews out and starting to work within about 15-20 minutes. Remember, the first casualty of repetition is safety. During the morning briefing, each crew member will need to fill out their own personal pre-task card. They need to do while the lead is reading the JHA and Installation plan and be sure to put down the hazards on their pre-task card that the are covered in the JHA. NOTE: Some projects have the crews sign the actual JHA. This is acceptable and I leave it up to the Superintendent. Please note however, that even if this is done, Each crew member must still fill out a pretask card while the JHA is being read by a team lead and their pretask card must match the JHA. FOR CLARIFICATION: HAVING THE CREWS SIGN THE JHA DOES NOT ELIMINATE THE REQUIREMENT TO HAVE A TEAM LEAD READ THE JHA AND HAVE EACH AND EVERY CREW MEMBER FILL OUT THEIR PRETASK CARD WHILE IT IS BEING READ. EACH TEAM MEMBERS PRETASK CARD SHOULD HAVE THE SAME HAZARDS LISTED ON IT THAT ARE ON THE JHA. ONE MORE TIME JUST TO BE CLEAR: THE JHA MUST BE READ OUT LOUD TO THE CREW BY THE TEAM LEADER> THE CREW WILL FILL OUT THEIR PRETASK CARDS WHILE IT IS BEING READ. I have written this several times because I want to make sure everyone understands that you can not simply just write a JHA, have the crew read it and then sign it every day and fill out their pretask cards before they begin. By doing that you are missing the entire point of the process. The process of reading the JHA out loud and having the crew fill out the pretask while it is being written is to have the crew focus on the hazards for a few minutes before they start. Having them read it and sign it every day is too repetitive and not effective. Having them fill out their pretask card and then checking their pretask cards is your way of knowing they are paying attention and it also lets them know it is important to pay attention. - Employees must carry their pretask card with them at all times while at work. 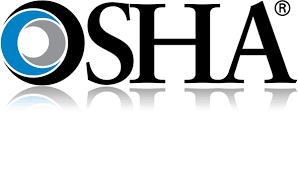 - Employees must identify, on the back, any near miss or additional hazards that they observe during the day. - Employees must stop ANY PERSON, regardless of who they are, that was not at their morning JHA briefing, upon entrance to their work area. Brief the person on the hazards in the area and have them initial the pretask card. ****The only exception to this is if the person is an employee of another trade contractor on the site and they recognize them. THE ABOVE EXCEPTION DOES NOT APPLY TO GENERAL CONTRACT PERSONNEL> GENERAL CONTRACTOR PERSONNEL ARE TO BE CHALLENGED. -DO NOT ASK THEM IF THEY KNOW THE HAZARDS. IT IS NOT A QUESTION. TELL THEM YOU NEED TO GO OVER THE HAZARDS IN THE AREA WITH THEM. - Each time they drink a bottle of water they are to make a mark on their pretask card. - Turn all pretask cards into their foreman at the end of the shift every day. - The foremen are to approve the cards, bundle them as a crew and rubber band them. Then place them in a box and try to keep them in order by date. Then send the box to the office for archiving. If the foreman finds a card that has an additional hazard or a near miss listed on the card, that card will be separated out and given to the Regional Safety Manager. Call the Regional Safety Manager and let him know you have a card with an additional comment or near miss listed on it. The Regional Safety Manager will follow up with both the person who wrote the comment and the supervision on site and will issue a Rapid Observation Report for documentation. The Regional Safety Manager will be responsible for ensuring any follow actions which are required are completed.